Shaving is an art that — apparently — guys don’t enjoy any more than the ladies. And, it seems shopping for supplies isn't any easier for them than it is for us. Luckily, there’s a new grooming line that’s paving the way for convenient razor shopping for mankind. Harry’s is the brainchild of good friends Andy Katz Mayfield and Jeff Raider. (You may recognize Jeff’s name from his other little business endeavor, Warby Parker.) The buddies became fascinated with the idea of providing guys with premium shaving supplies at a fair price. It’s as simple as that. 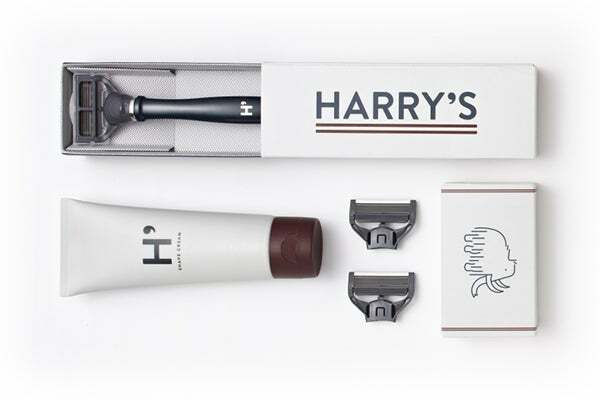 Right now, Harry's is sold exclusively online, but here's hoping that they'll soon expand. Perhaps maybe into a ladies' line? Our fingers are crossed. Photo: Courtesy of Harry's .